The DeWalt Series 20 8-1/4-inch Carbide 40-tooth Thin Kerf Circular Saw Blade is designed to deliver the cut quality and speed needed to stand up to rigorous professional use. 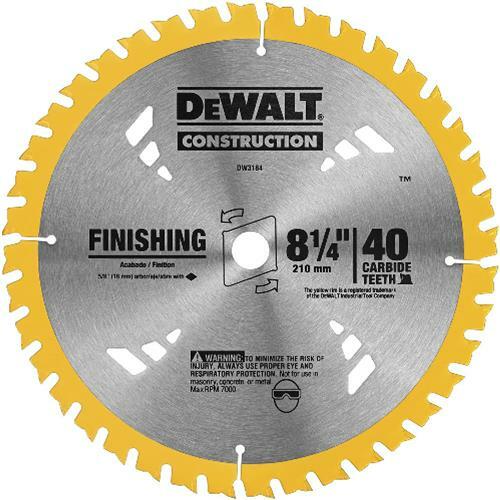 Ideal for thin kerfs, and fast, smooth cuts, the blade features an exclusive wedge shoulder for increased durability. Patented ribbed heat vents eliminate blade flexing and binding for long lasting performance, and an included anti-stick coating reduces friction and gum-up.